Frost risk. 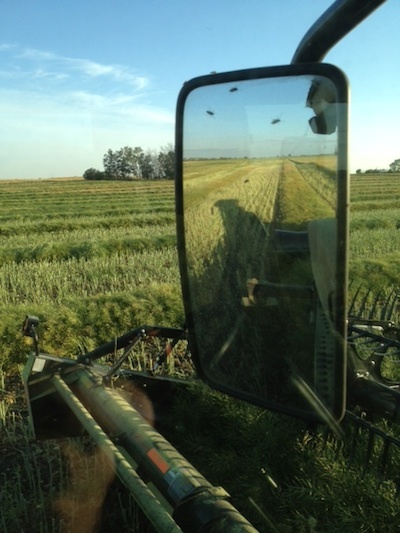 Swathing before 60% seed colour change will reduce yield, but heavy frost will reduce yield, too. 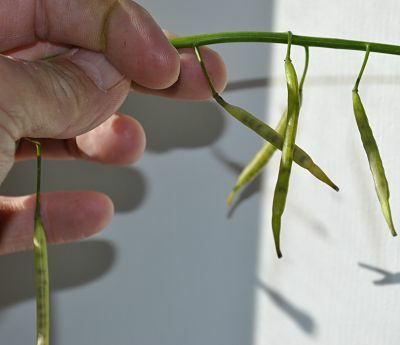 If growers have a lot of fields to swath and if heavy frost is forecast, growers may opt to swath the earliest fields ahead of the frost — even if they’re not at 60% seed colour change — as a way to balance risk. Harvest losses. 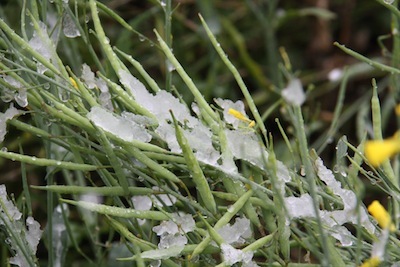 You’ve taken care of your canola all season long. 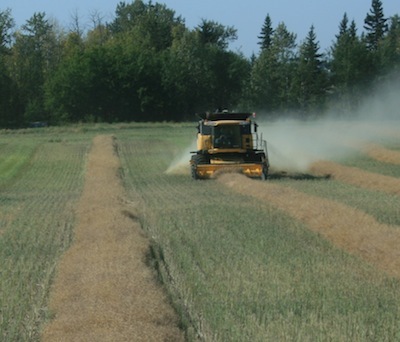 Set the combine carefully so profit goes in the bin, not on the ground. While you wait… Cool weather and slow colour change can make for agonizing waits. While champing at the bit, do a disease check, count plants and prep the combine. Here are two WeatherFarm maps. Click the map for a link to the original on the WeatherFarm site. The frost map is for yesterday morning. Many areas that had frost yesterday had frost again this morning. The second map, also from WeatherFarm, shows corn heat units (CHUs) for 2014 as a percent of normal. We don’t talk CHUs in canola, but this map demonstrates the variability in heat accumulation across the Prairies this year. 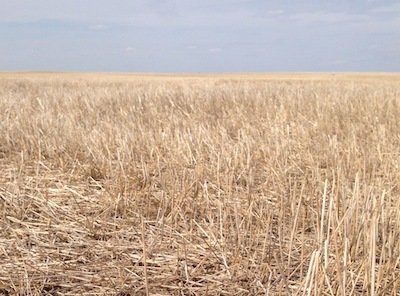 How are your post-swath disease scouting skills. The video above will help you answer the quiz questions this week. You can watch the video afterward if you want to test your knowledge now! CCAs take note. You can get 1 CEU for watching the full “Pre- and post-swath canola disease scouting” video and answering 10 questions. Here’s the CCA quiz and full video link. You can get another CEU for watching the “Blackleg disease and resistance management” video and answering 10 questions. 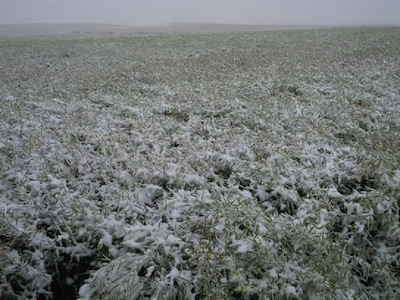 Here’s the blackleg CCA quiz and video link.